Welcome to my website. I hope you find it informative, useful and will find a relaxing treatment that will suit you. I have over 15 years experience as a Reflexologist and am extremely passionate about Reflexology, and the deep relaxation that this wonderful therapy offers, especially during pregnancy. There is a strong connection between mind, body and spirit and in the way our mind, thoughts and emotions can manifest as physical symptoms in our body. Stress related conditions such as anxiety and depression are at extremely high levels because of the way we live our lives so it it vitally important that in order to stay physically healthy we look after our 'emotional' self as well. This can include Reflexology but also other holistic therapies including massage, reiki, yoga, meditation and good nutrition. I have been working as a Reflexologist in Bromley and Beckenham for the past 15 years. I specialise in fertility and maternity reflexology, supporting pregnant ladies through the many hormonal changes of pregnancy. I have also supported many women on their journey through IVF, with gently supportive and relaxing reflexology. I also specialise in reflexology for all stress related conditions, such as insomnia, IBS, back and neck tension, anxiety, headaches and migraines. I see people from all walks of life, teachers, lawyers, doctors, builders, executives, busy mums - basically anyone who gets stressed! I am extremely passionate about Reflexology and the extreme relaxation it can offer. I am also trained in Indian Head Massage, Naturopathic Nutrition, Facial Rejuvenation Massage and Ear Candling. 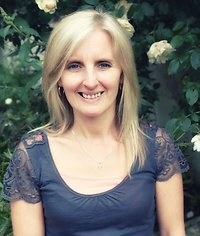 I am a qualified Functional Nutritionist who specialises in SIBO (www.ibsresolve.com). I trained at an Association of Reflexologists accredited school in Bromley, Kent. The AOR only accredits schools that meet clearly defined and regularly monitored professional standards. I am a FELLOW Member of the Association of Reflexologists. I had Reflexology throughout both of my pregnancies which was extremely beneficial and studied Maternity Reflexology with Susanne Enzer, the world famous pioneer of Maternity Reflexology, so that I could offer this to other pregnant ladies in Bromley, Beckenham, Catford, Lewisham and the surrounding areas. For details of Susanne Enzer and her work and which shows me listed on her Register of Maternity Reflexologists please click here..
Maternity Reflexology also covers those who are having difficulties conceiving. Reflexology already has an excellent reputation for helping couples with fertility issues and I have had many success stories in this area. For more information about Reflexology for fertility and the services I offer please click here. If you feel that reflexology could benefit you with an existing condition, if you are looking for support through your pregnancy or even just for an hour of pure relaxation please feel free to email me or ring me for a chat. 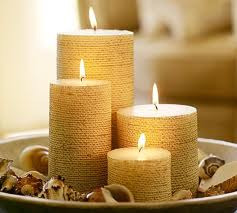 I offer Aromareflex treatments for those who wish to combine the power of essential oils and Reflexology together. You will receive a full reflexology treatment and to enhance the benefit of the treatment you will have a blend of oils chosen just for you. It is an extremely relaxing and nurturing experience. Please click here for further details on Aromareflex. I am now offering Hot Stone Reflexology from my home address (not mobile). Why not treat yourself or buy a gift voucher for someone as an indulgent treat. Due to client demand I am now introducing a longer reflexology session. Pay just £10 extra and get an extra 30 minute treatment. Please ask at time of booking. I run Introduction to Reflexology one day courses occasionally in Bromley for complete beginners with an interest in reflexology. While this will obviously not allow you to practice it will give you simple techniques and a short relaxing routine to use on family and friends.  The course generally runs from about 10 am -3 pm and is friendly and informal and you will leave feeling extremely relaxed. Small groups of 8 Maximum. Why not team up with a friend or family member so you can continue to practice after the day. For more details or to book a place, please contact me. The cost of these short courses is £50. I run these courses when I have enough people interested so please contact me and i will keep your details. In MARCH 2010 I was awarded FELLOWSHIP Status of the Association of Reflexologists, the highest class of membership that can be obtained within a professional organisation. Fellowship is only awarded to those members who have been full members of the Association of Reflexologists for over 5 years and who have made a significant contribution to Reflexology and added to the prestige of the AOR. "The fellowship application criteria and process is very vigorous and successful applicants should be extremely proud of their achievements." I offer Reflexology and Maternity Reflexology either on a mobile basis or at my home in Bromley. I cover all local areas, including but not limited to Bromley, Lewisham, Bickley, Beckenham, West Wickham, Hayes, Keston, Shortlands, Chislehurst, Petts Wood, Sundridge Park, Forest Hill, Penge, Sydenham, Coney Hall, New Eltham, Farnborough, Orpington, Lee, Catford, Mottingham, Sidcup, Ladywell, Brockley, Crofton Park, South Norwood, Anerley and Grove Park. Click here for good value supplements. I particularly recommend Cytoplan products. These are as close to food state as a supplement can be and contain no fillers or binders. The cheaper the supplement the more fillers it will contain. I have used these myself for many years and still do daily. These have included adrenal support, to vitamin D which much of the western population is low in due to our lack of sunlight in the winter months to their excellent multi B supplement which is great for stressed people. Magnesium is another popular choice, and also their Cyto-Gold multi vitamin. 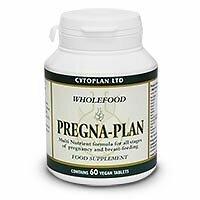 For pre-conception and pregnancy I highly recommend Cytoplan Pregna-plan multivitamin. GREAT NEWS!! Reflexology is now covered by BUPA under its BUPA Additional Health Cash Plan product. It is also covered under the following cash plans:- Paycare, Medicash, Sovereign and Health Shield so it may be worth checking to see if you can claim back some of the cost of your treatments. You pay as normal then submit your receipt to your provider who will refund some (if not all) of the costs (up to benefit levels) so it may be worth checking those cash plan policies! If you would like more details on Pamper Parties please click here.